The CSC Vancouver Chapter is still looking for hole sponsors for its Spec Golf 2015 Annual Tournament, with early-bird pricing ending this Friday. 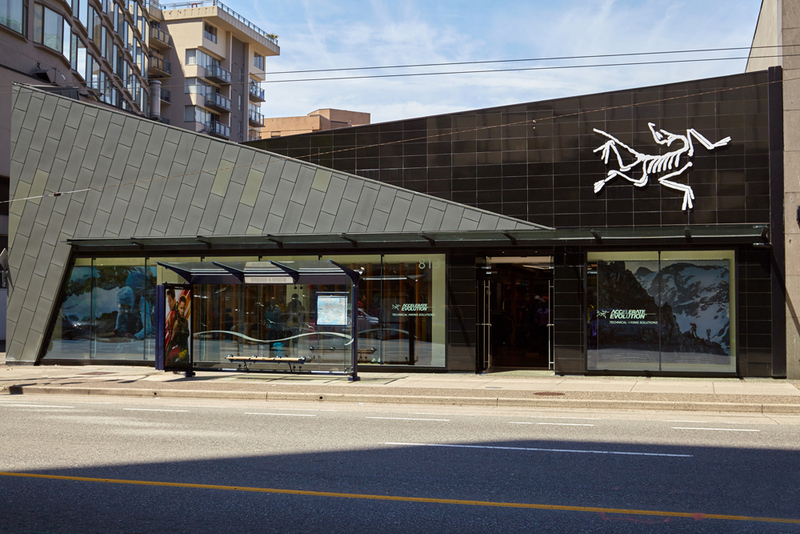 Zinc was employed on the exterior of Arc’teryx’s flagship store in Vancouver to deliver a cool, modern esthetic as well as to complement the brand. The building itself was previously two adjoining linear structures requiring major renovation to meet design objectives. Architectural and construction management services were provided by Unison Construction Management in Vancouver. Selection of zinc for the exterior was inspired by Arc’teryx itself, according to Vali. Approximately 186 m2 (2000 sf) of 610 x 1219 mm (24 x 48 in.) custom titanium zinc graphite-grey panels were fabricated and installed by Ace Copper Specialists, Surrey, British Columbia. The mountain-inspired architectural design called for the panels to be installed on the diagonal as well as wrapped around a sharp 90 degree corner. “To further complicate the job, the cap line at the roof was at a slightly different angle than the the shingles. We hand-fabricated the top shingles onsite. The designer did not want seams when we wrapped the panels around the corner. The installation had to be perfect to keep the angles all in place. The job was a challenge but turned out to be really striking,” explained Jason Dore, COO of Ace Copper Specialists. Titanium zinc was also used on the interior as infill material for various racks and product display areas.